Posted on August 30, 2018 by Mike Sonnenberg Posted in Restaurants	. A few years ago I went to the Grand Travers lighthouse and I passed a stand selling pies and baked goods on the side of the road. The sun was setting and I did not stop so I could get some pics before the sun went down. I went back and the stand was gone and I thought maybe it was a figment of my imagination. I was up in the Leelanau Peninsula not too long ago and there it was the pie stand I saw. I have seen people selling firewood, vegetables and fresh eggs on the honor system on the side of the road, but a stand with pies now you have my attention. I had to stop and get a pie for the road and it was awesome. 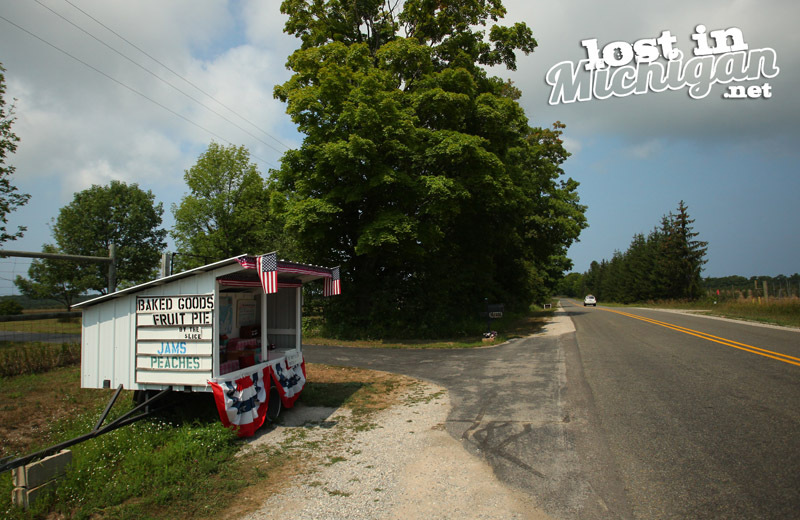 next time you are near the lighthouse at the tip of the Leelanau Peninsula keep an eye out for this patriotic stand on the side of the road. 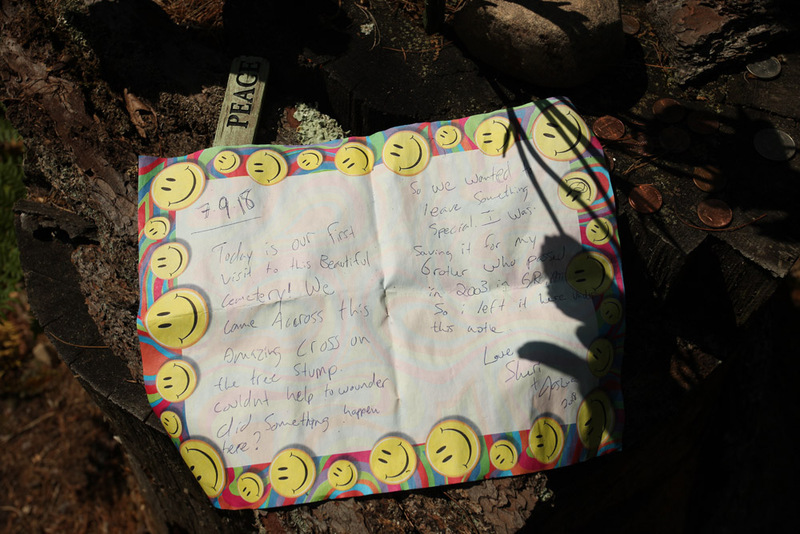 Posted on August 2, 2018 by Mike Sonnenberg Posted in Cemetery	. While I was on the west side of the state I made a trip to the supposedly haunted Mouth Cemetary near Montague. I can’t say it was haunted but I can say it was a beautiful old historic cemetery hidden in the woods. The earliest marked grave dates back to 1851 and the lighthouse keeper William Robinson is laid to rest here. He was the keeper at the nearby White River Lighthouse and his spirit supposedly haunts the lighthouse. you can read about that HERE. 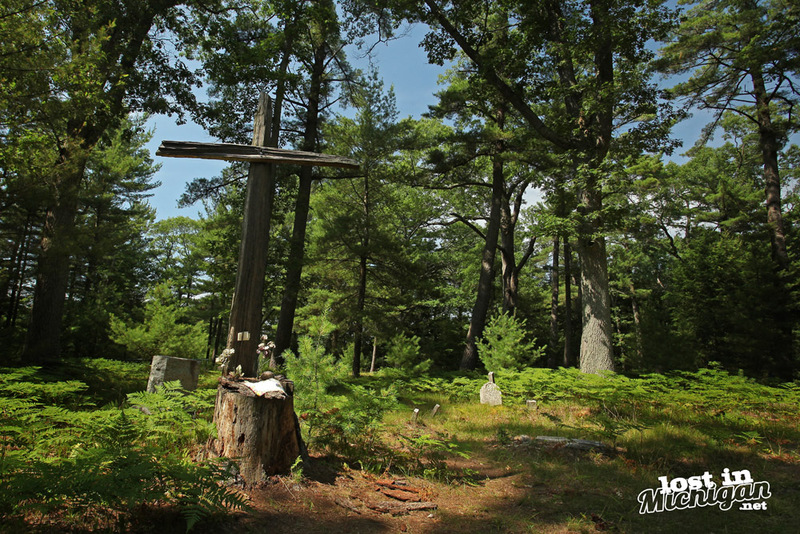 In the center of the cemetery stands a rustic wooden cross and at the base of it, I saw a note someone had written. P.S. I figured I would be the only one at the cemetery but I met a really nice couple while I was there, I guess I am not the only one that goes to the old cemeteries. I would say there were ghosts but I don’t think ghosts can drive an SUV. P.P.S If Sheri or Joshua is reading this, now you know that someone noticed the note you left.